This is a rough video from my Bride's iPhone, it starts a few minutes into the interview. Once the final produced video is released I will post it. Thanks again to the Salt Lake Off Road Expo for allowing me to be part of their awesome event. Last night my two boys and I delivered the Steed to the Salt Lake Off-Road Expo and set up the banner. If you enjoy the outdoors on two or four wheels, this is the place for you! There are a lot of cool exhibits and products. Don't miss out on this event! Today at 1PM and tomorrow at 9AM, I will be interviewed on stage. I will post several pictures during the Expo. The banner and motorcycle are ready for the Salt Lake Off-Road Expo. Please stop by an say hello. Friday at 1PM I will be interviewed on stage during the Expo. Thank you again Phil and the Salt Lake Off-Road Expo for your support of Crossing America On Dirt to benefit Wounded Warrior Project. Also, many thanks go to Susan on the CAOD marketing team...she rocks!!! Last night I worked on the bike until 10:30PM installing all the cool mods from Fasstco.com and Giant Loop. The bike is ready for the Expo! Thank you to all the awesome sponsors who have helped make my Steed adventure ready. Please support the sponsors who support my trek. They are helping me help our wounded heroes!!! disorder (PTSD). These men and women cope multiple symptoms including flashbacks, frightening thoughts, anger, and interruptions in sleep. Warrior Care Network® – a partnership between Wounded Warrior Project® (WWP), the Department of Veterans Affairs (VA) and its partner hospitals (The Veterans Program at Emory Healthcare; the Road Home Program at Rush University Medical Center; Operation Mend at UCLA Health; and Home Base, a Red Sox Foundation and Massachusetts General Hospital program) provide treatment and coping skills for warriors dealing with PTSD. Beyond just sleep studies, Warrior Care Network provides intensive two- to three-week outpatient programs that include more therapy hours than most patients would experience in a year. Warrior Care Network connects veterans across the nation to world-class care, aimed at healing the invisible wounds of war. Help support these efforts by donating to Wounded Warrior Project now. 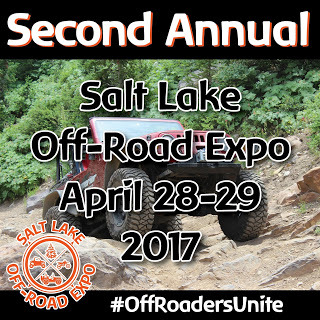 The Salt Lake Off-Road Expo is this Friday and Saturday at the South Towne Expo Center in Sandy, UT. The Expo is a great place to see the companies and products that help us access the great outdoors on 2, 3 or 4+ wheels. This event is a highlight for my family since we love to get back in to the outdoors to explore and camp. Thank you Phil and the Salt Lake Off-Road Expo for helping me help our wounded heroes. The worst thing we can do as Americans is forget those who have given more than most to protect us and our freedom. 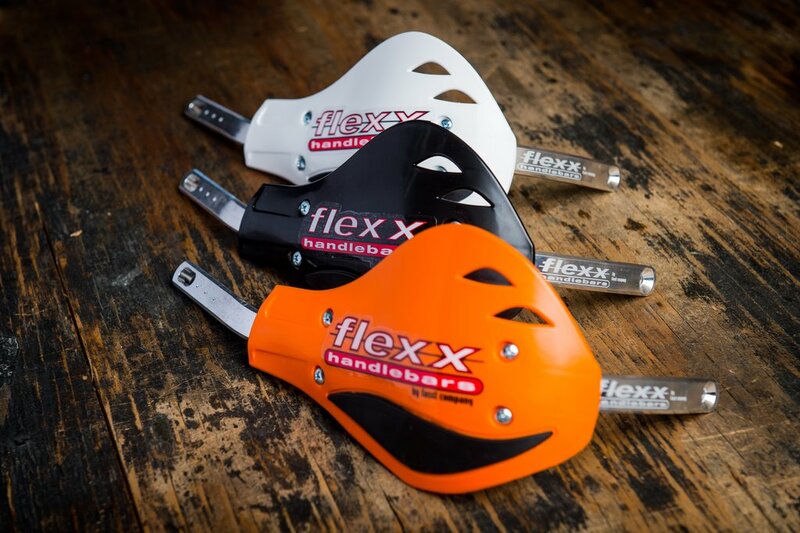 It is great to introduce the latest sponsor for the Ride Across America On Dirt. 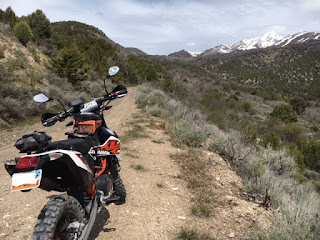 Throughout this blog you've read about my concerns regarding the KTM 690's vibration. It's no surprise, the bike is a HUGE single cylinder dirt bike with very little road acumen. This bike is built for the dirt and small stretches of pavement. 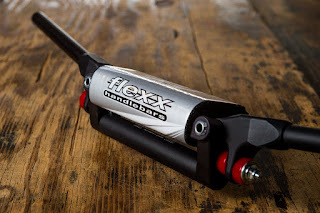 In order to create such a large displacement motor to handle longer rides at higher speeds, with gear, for long periods of time, it generates a lot of vibration. Several of the modifications to date are focused on taking some of that vibration off of my body. 5,000 miles is a long way to ride on a single cylinder bike. I'm not the first person to do it, nor will I be the last, but when the ride is over, I go back to work behind a desk. The last thing I want is to have numb hands, arms and feet for the rest of my life. 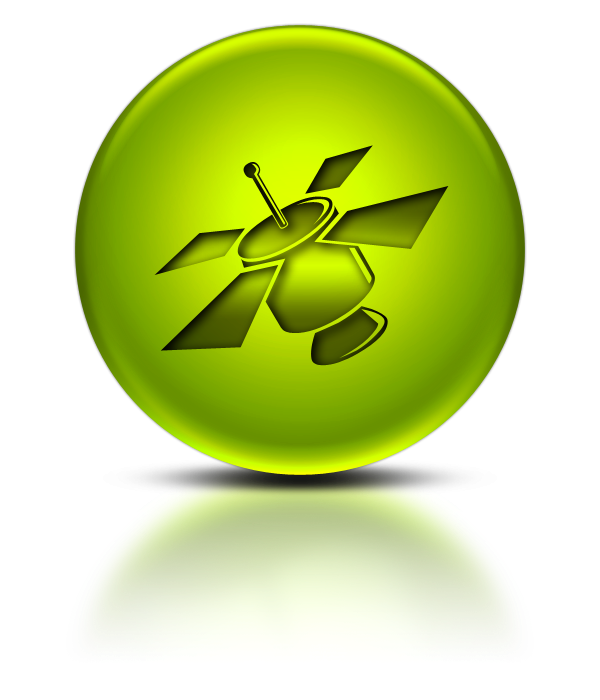 Fasst Company is a Utah based company, located near St. George. They build products that make the ride more enjoyable. Their Flexxbar handlebar, Impact Adventure Peg are built to take the vibration and impact out of your arms and legs allowing me to ride longer and faster. 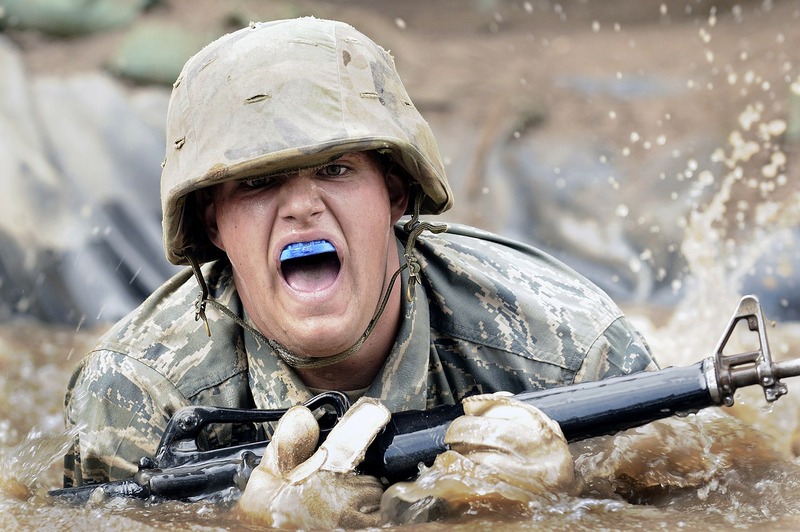 Fasst Company's products will enable me to enjoy the ride, explore more miles and keep the fillings in my teeth. Fasst Company has been working with me since December to dial in the right products for my ride. 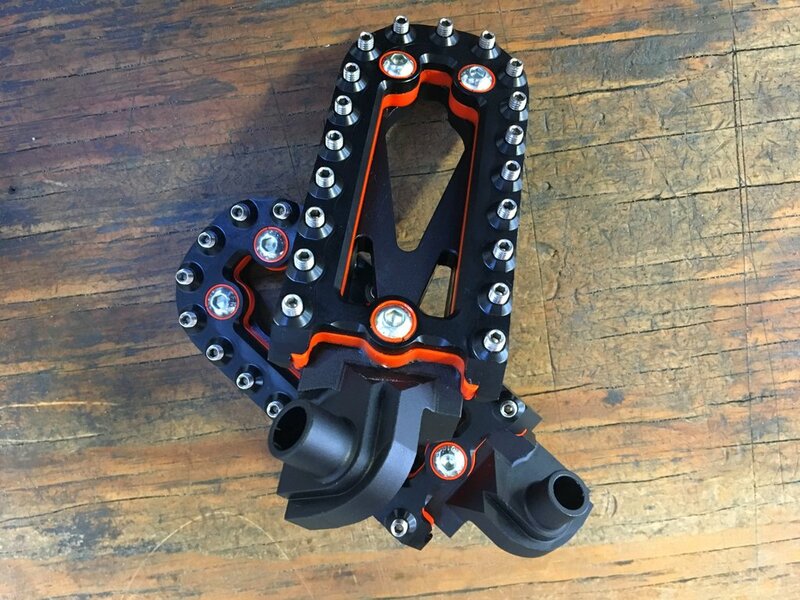 Jason Parsons and the Fasst Company Team have been great to work with.... In February I visited their shop, met Jason and the Team, which includes the company dog. It was impressive to see their products, assembly and R&D. 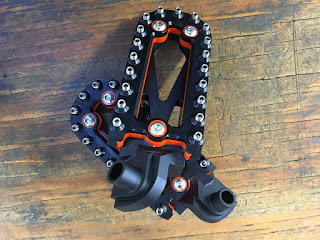 Fasst Company has some VERY cool products in development. Thank you Faast Company, and especially Jason Parsons for his help. Jason is the Athlete Manager and Ergomonic Expert at Fasst Company. Once I get the steering stabilizer installed, I will do a full ride report on the Fasst Company products. This is by far the best modification to date to help reduce my fatigue. My wife keeps reminding me that I'm not getting any younger! 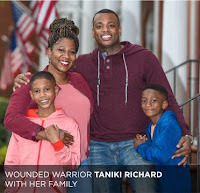 Two traumatic experiences Taniki Richard endured as a US Marine followed her home after Iraq. 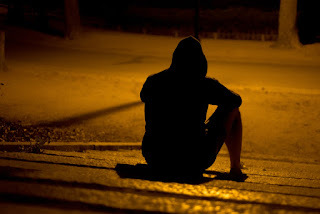 Despite receiving help to cope with her post-traumatic stress, she still felt alone. Her memory started to fade. She couldn't run without chest pains. She couldn't sleep and was afraid to leave her house. She credits the help she received at a WWP event with changing her life and that of her family. Help me help our brave wounded warriors by donating now. This is my first attempt at being a videographer... I need more practice! A couple weeks ago I did a walk-around of the bike. Only a few modifications are left, then the bike will be wrapped in a new design for the trek. Thank you to all the awesome sponsors and their products. Please follow me on Facebook and make a contribution to Wounded Warrior Project via the blog at www.crossingamericaondirt.com. Your generous, tax deductible donation to Wounded Warrior Project® (WWP) will change the lives of over one hundred thousand injured warriors, caregivers, and family members. You will help bring independence back to our nation’s most severely wounded veterans. Happy Easter! This Easter my family was blessed with 4 little girls who were removed from their parents by the State. It looks like they will be with us for a while. We helped this family over 4 years ago and it appears that they continue to struggle. This was a complete surprise. Please keep these little girls in your prayers. So no ride report this weekend. It will wait until next weekend. The bike is in great shape with all the modifications. Only a few more to complete and the bike will be done. 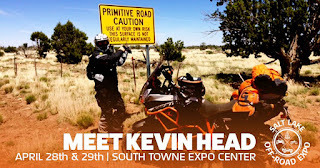 Marketing will start working on a design for the KTM 690 and if all goes well it will be wrapped for Overland Expo. By the end of this week I should be able to announce a new sponsor for the ride, which is exciting and their product is needed. The KTM 690 creates a lot of vibration through the handlebars to the grips. After 5,000 miles and 5 weeks, my numb hands may be permanent. I hope everyone enjoyed a wonderful and blessed Easter! Wow, yesterday the temperature reached 83 degrees in Salt Lake City.....Spring is here, after 6" of snow on Saturday. This weekend the KTM 690 will go out on a test ride, so photos and ride review will follow. The new merchandise will be ready by the Overland Expo-West. 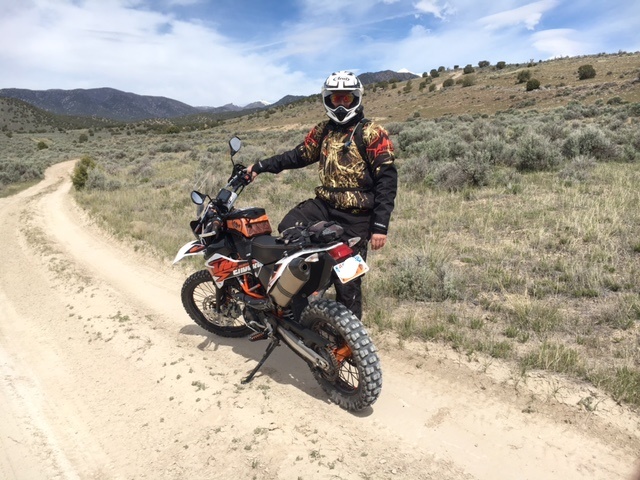 I can't say enough great things about the Overland Expo and how great they've been to work with....if you don't have plans to attend the Expo, make your plans while you can find a hotel, or camp. I will be camping in the ADV-VAN. Or should I say Glamping... The ADV-VAN is hardly roughing it in the outdoors. 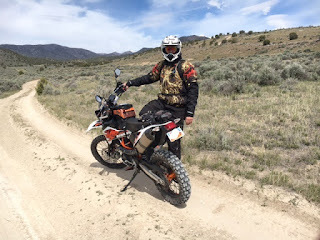 Last year I rode to the Overland Expo, from SLC, 50% on dirt. What a fun ride. We started on dirt outside of Boulder, UT. Please stop by the Crossing America On Dirt booth at Overland Expo West!!! they are in training and on tour of duty. They put their lives on hold to defend the freedom of our country. 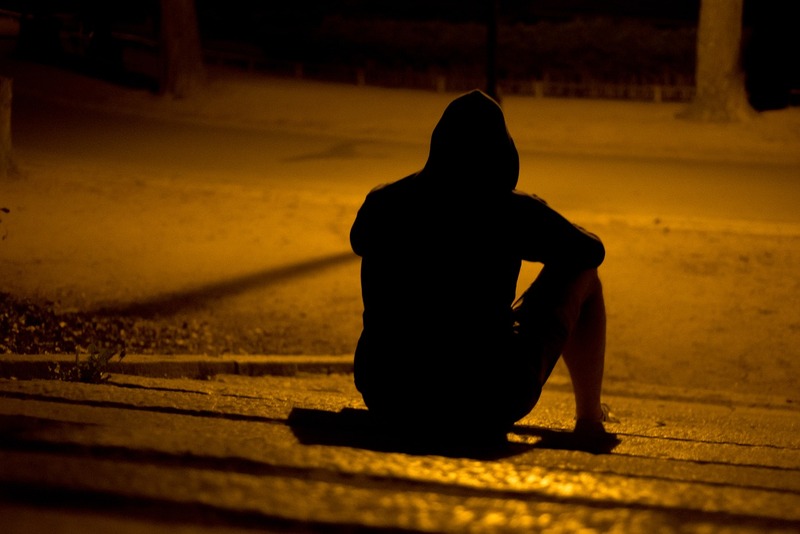 Many soldiers are on high alert during every waking hour; waiting for the unexpected, waiting for the terrible. 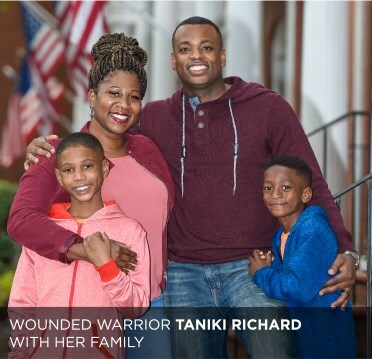 Once discharged from service, many warrior returns to a life that doesn't understand or acknowledge the personal trials they experienced unless they have been physically wounded and forever visibly changed. 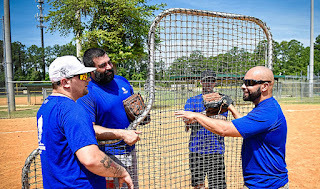 Wounded Warrior Project provides avenues of hope for our heroes; to reconnect to not only society, but to their families, and to themselves. Help our wounded warriors by Donating what you can to WWP. Overland Expo West is 5 weeks away! One of Crossing America On Dirt sponsors is Overland Expo and their annual event located in Flagstaff, AZ is the premier overland event of the year. I will have an exhibit booth in the motorcycle section. Please come out and stop by to support Crossing America On Dirt and Wounded Warrior's Project. At the Overland Expo booth I will have new merchandise, t-shirts, hats and stickers for those making donations to support Wounded Warrior Project. If all goes well, visitors will be able to make donations either by cash or on-line at the booth. 100% of your donations go to Wounded Warrior Project. 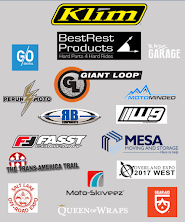 The ride is 100% self funded with the help of the great in-kind sponsors (see their logos on the right side of the blog). The financial goal to support WWP is $50,000. Today we have met 25% of the goal! A HUGE thank you to everyone that has made a donation to help those who have served our country! Our nation's service members place the highest trust in their fellow warriors in the battlefield. Wounded Warrior Project (WWP) support groups for veterans ensure that trust is strengthened long after military service has ended. WWP peer support groups are lead by and designed for warriors who want to discuss personal challenges and lend support to one another. Veteran peer support groups can lead to new friendships, provide a renewed sense of community, strengthen bonds through shared experiences, and introduce new solutions to challenges. 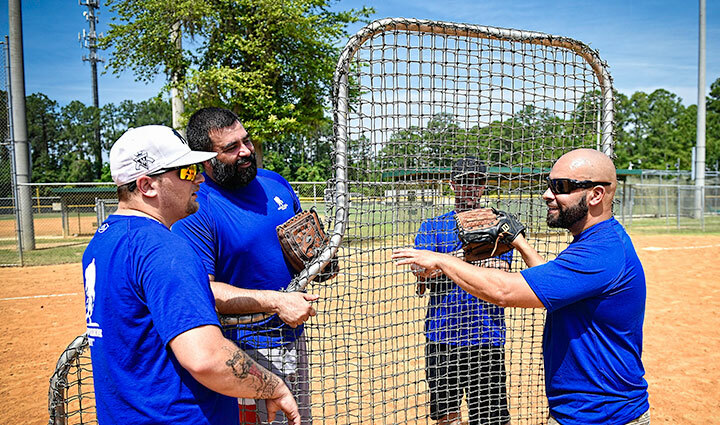 WWP can help warriors connect with fellow veterans and service members in their communities and overcome challenges as a team. Your Donation helps fund these important WWP efforts.